*Not only is Los Angeles Lakers center Andrew Bynum not surprised to see the Lakers down 2-0 to the Dallas Mavericks in their Western Conference semifinal, but he believes the Lakers’ problems are “deeply rooted” and they have to overcome “trust issues” with each other. An irritated Bynum vented for six minutes in front of his locker after the Lakers’ 93-81 loss to the Mavericks and said the team has plenty of work to do off the court to dig itself out of the hole it is currently in. Bynum’s “trust issues” stem from his teammates’ inability to communicate with one another on the court and help each other out defensively. 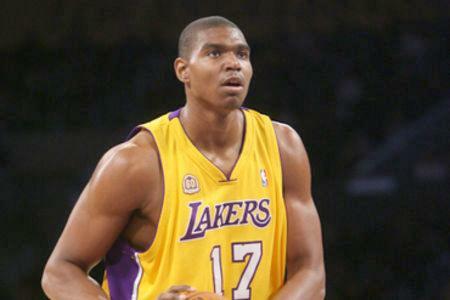 Bynum was often seen yelling and signaling to his teammates to talk during the game.